Part 4 of the canine detox, designed by Dr. Bradford DVM, PhD, it uses 16 different strains of probiotics, trace minerals, and the prebiotic fiber Fructo-oligosaccharides (FOS) to restore healthy gut flora and bacteria; aiding in gastrointestinal health, immunity, and reducing the symptoms of inflammation, obesity, candida, allergies, & leaky gut, organ issues. Categories: Supplements, The Transform Detox Tags: best dog probiotics, can dogs take probiotics, dog probiotic powder, dog probiotics, dogs and probiotics, pet probiotic powder, pet probiotics, probiotic dog, probiotic dogs, probiotic for dogs, Probiotic GI Support, Probiotic Powder, probiotics, probiotics dog, probiotics dogs, probiotics for dogs, probiotics for puppies with diarrhea, probiotics in dogs	SKU: probiotics-for-dogs. Probiotics for Dogs has sixteen different types of probiotic strains, this incredible supplement restores your dog’s healthy gut bacteria. Not only does this benefit your dog greatly, it also benefits you – a healthy canine gut produces less stinky dog poop! When the gut is not working at its best, it can putrefy the food before it digests it. A healthy GI track means that your dog will rarely suffer from neither constipation nor diarrhea. He’ll also be better able to utilize the nutrition in his food, providing him with the energy he needs to have an active life. A healthy dog also effectively combats the effects of stress, steroids, and an unhealthy diet. Probiotics are an absolute must after any treatment that involves antibiotics. While all medication can imbalance the bacteria in the gut, antibiotics tend to be the worst offenders. 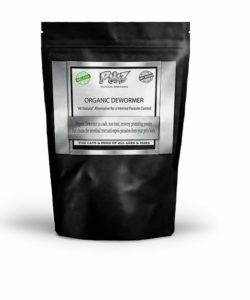 This potent Probiotics for Dogs powder works synergistically with the rest of the Transform System to support toxin-removal, recovery, healing, and strengthen the organs systems, especially the colon, lymphatic, and immune systems for better digestion and reducing the symptoms of leaky gut, bloating, constipation & diarrhea, ulcers, and joint pain. It may also be used to prevent gas, cramping, and to counteract the effects of antibiotics, steroids, illness, and poor diet. You also be aware that medication creates a weak state in the body and kills “good” (beneficial) bacteria along with the bacteria that typically cause illness. A decrease in beneficial bacteria may lead to reoccurrence of the illness and continues to lower the immune system. This form of probiotic is perfect for replacing the lost beneficial bacteria. This potent probiotics for dogs powder works synergistically with the rest of the transform system – supports toxin-removal, recovery, healing, and strengthen the organs systems.